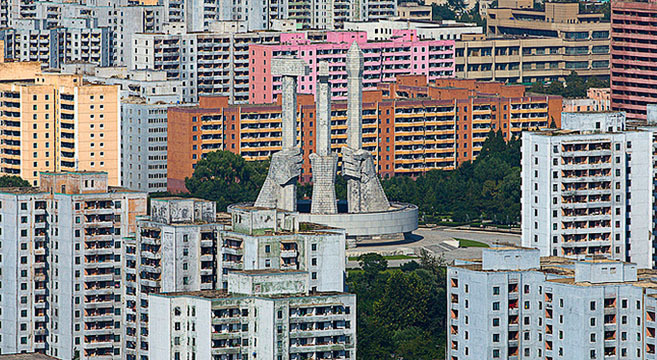 The Associated Press in North Korea: A Potemkin news bureau? 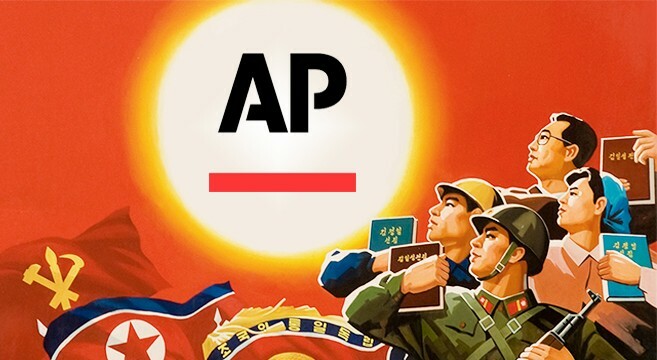 Despite trumpeting itself as the “first independent Western news bureau” in North Korea, top executives of the Associated Press (AP) in 2011 agreed to distribute state-produced North Korean propaganda through the AP name, a confidential document and interviews with current and former AP staff indicates. An internal draft agreement between the AP and North Korea’s state media outlet the Korea Central News Agency (KCNA) dated December 2011, obtained by NK News from sources inside the AP, suggests that – far from being a bastion of the free press – AP’s Pyongyang bureau serves primarily to distribute news approved and censored by the North Korean state. “(The) KCNA shall be responsible for all the procedures inside the DPRK for the opening and operation of Bureau,” the document says, the authenticity of which was confirmed by interviews with 14 current and former AP staff involved in news production from the AP’s Pyongyang bureau. Despite AP foreign journalists such as Jean Lee, Eric Talmadge, Tim Sullivan and David Guttenfelder giving the bureau a veneer of independence, the agreement does not allow any international AP staff appointed to Pyongyang permanent visas to live and work full-time in the country. And unpublished interviews between recently released U.S. political prisoners from North Korea and local AP representatives indicate the agency’s cooperation in coached and coerced statements, the ex-prisoners told NK News. 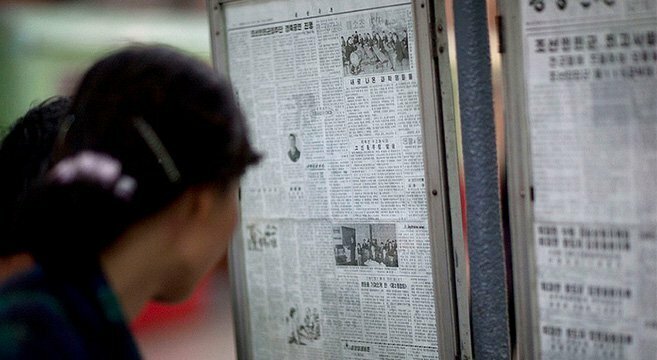 Such government control over AP access to North Korea contextualizes the content produced by the Pyongyang bureau in the nearly three years since its January 2012 opening, raising questions of whether the AP is bringing new information from North Korea to the world or has been effectively absorbed as a willing partner of the North Korean propaganda machine. Specifically, the draft agreement obtained by NK News – which the AP would not comment on despite a December 23 request – suggests an overarching goal far from what might be associated with a leading, independent news agency such as the AP. By ensuring the “worldwide distribution of policies” of the WPK and the DPRK government, the U.S.-based AP would help promote “mutual understanding between the two peoples and (contribute) to the improvement of relations between the two countries,” the agreement says. Such terms directly contradict the repeated statements of senior officials and spokespersons at the AP, all of whom insist North Korea has no control over what is published from Pyongyang. “AP does not submit to censorship. We do not run stories by KCNA or any government official before we publish them,” Paul Colford, the AP’s media relations head, told NK News by email in late November. But staff within the AP, speaking to NK News anonymously, disagreed with the senior officials on multiple fronts. Another source involved in the AP’s negotiations with Pyongyang, requesting anonymity due to confidentiality agreements prohibiting him from speaking, said that negotiations resulting in the agreement were “amazingly smooth – there were no issues of contention. But while such a stipulation was never included in the draft agreement between the KCNA and the AP, an NK News analysis of the past three years of Pyongyang-bylined material reveals not a single article produced in North Korea that has specifically focused on leader Kim Jong Un in anything but positive terms. Even when Kim’s six-week public disappearance became a top news story around the world in October, the AP Pyongyang bureau issued precisely zero articles on the story, with the AP’s Seoul bureau the only AP office able to cover his reappearance on October 14. And today, despite hundreds of stories emerging almost daily on North Korea’s suspected involvement in hacks against Sony Pictures for The Interview, a film depicting Kim’s assassination, not a single AP story has had any input from the Pyongyang bureau on the issue. 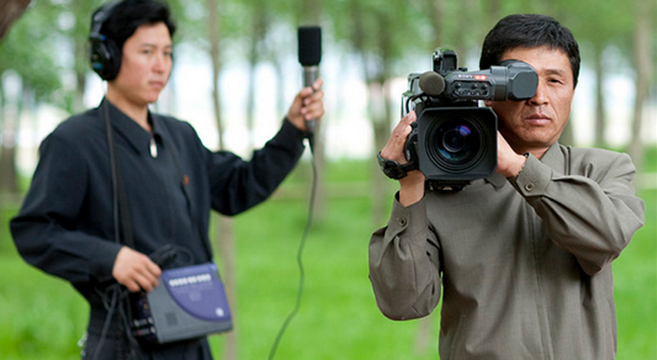 “The absence of anything on the Sony story from AP bureau in Pyongyang really says it all,” said Mike Chinoy, a former CNN journalist who covered North Korea based out of China for more than a decade. 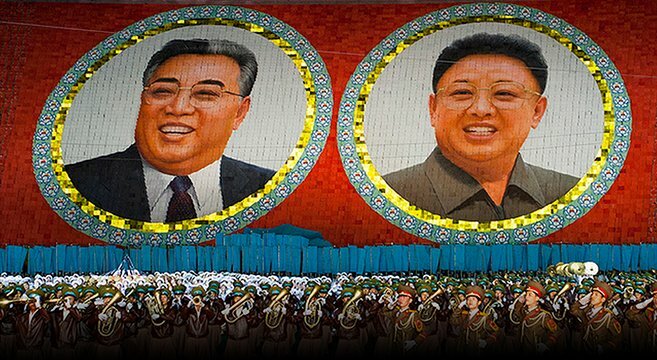 But both the North Korean AP staff correspondents were pre-selected by the KCNA – which is known to work for the Propaganda and Agitation Department of the ruling WPK – according to both the draft agreement, sources within the AP and others with direct knowledge of the terms of the establishment of the bureau in the DPRK. And despite interviews and comments by senior staff suggesting otherwise, the agreement shows AP accepted local staff directly chosen by North Korea’s official propaganda organ to conduct day-to-day operations at the AP Pyongyang bureau, which is based at the headquarters of the official KCNA. “KCNA shall nominate one text and one photo journalists (sic) and one driver, three in total, to work for AP,” reads the document, which sources said was signed by senior AP and KCNA executives at the bureau’s opening in 2012. A senior AP correspondent involved in the negotiations to set up shop and the article-production process – speaking on condition of anonymity – elaborated on the hiring process. “The agreement was that North Korea said AP must hire three specific North Koreans as AP staff reporters – a supposed reporter/fixer, a photographer and a driver. Who these were was specifically decided and forwarded by KCNA,” the source said. “There was never a question from either side that we would accept the North Korean AP staff correspondents who the North Koreans told us to hire. This was in a June (2011) meeting in New York between the head of KCNA and the AP CEO and president Tom Curley and executive editor Kathleen Carroll, and AP vice president for international news John Daniszewski,” the source said. Numerous AP executives and staff confirmed that KCNA told AP who they would hire as their Pyongyang staff, although AP was given a pre-selected small ‘pool’ they were allowed to choose from. When AP suggested someone other than the two specific people forwarded by North Korea, they were rebuffed. 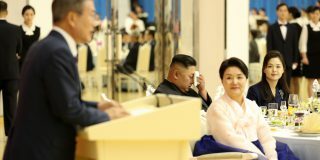 “There was one person who the AP would have preferred to have hired – a woman who had done some translating in the past for AP – but the KCNA said no,” said the senior AP employee with knowledge of the discussions. “Mr. Rim, the KCNA advisor from the Ministry of Foreign Affairs told us in no uncertain terms: ‘These are the two people you are going to hire.’ We hired the two people the KCNA told us we had to hire to staff the bureau in Pyongyang,” the source added. And because the AP bureau’s North Korean staff work remain unsupervised by foreign bureau chiefs for the majority of the time, “it is not clear under what circumstances or conditions the AP news copy or photographs are being made,” the same source said. Moreover, the terms of the agreement specifically prohibit the AP from dispatching its foreign bureau chiefs as permanent representatives to the bureau. “AP shall send a person concerned with Bureau about once in three months so that he or she can learn about its operation and strengthen ties with KCNA,” the document says, specifically not agreeing to permanent visas for foreign staff to work full time in the country. That cash is paid to Rim Ho Ryong, who is the “KCNA external affairs advisor from the Ministry of Foreign Affairs,” one former AP senior Asian journalist said, a contention confirmed by four other AP Asian correspondents. But how much money is directly transferred to the North Korean reporters from KCNA who are secunded to the AP remains unclear. North Korean workers at the Kaesong Industrial Complex, for example, are suspected to receive only a small portion of their government distributed $150 monthly salaries. 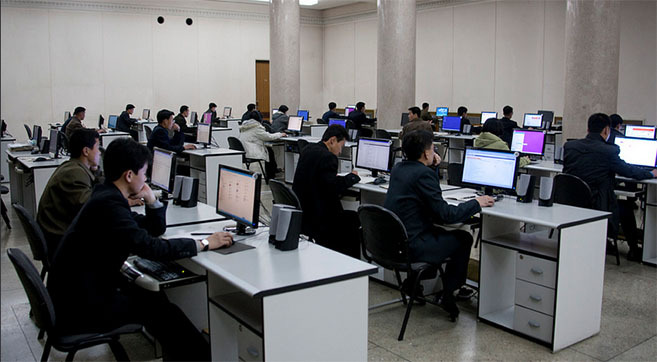 Sources said that behind-the-scenes discussions promised that AP would someday have a dedicated communication system, including an independent internet connection between their Pyongyang bureau opffice and outside the country. Yet nearly three years after the bureau opened, that communication system from the Pyongyang bureau to AP offices in other arts of Asia responsible for editing news copy and photographs does not exist. Instead, the bureau relies on the facilities of the state-controlled KCNA. And while AP foreign correspondents are allowed to purchase North Korean SIM cards for their smartphones, which can send text and media abroad by email and social media, these devices cannot communicate with the phone network used by North Korean citizens, who in turn cannot communicate either overseas or with the phone network restricted for use by foreigners. Unlike some foreign embassies equipped with satellite internet connections that are considered difficult for the North Korean state to intercept, the “AP bureau does not have a direct internet connection,” one AP staffer, also requesting anonymity, explained. Among the disturbing allegations of AP acquiescence to government orchestration of reporting are stories from American political prisoners held in North Korea. Former U.S. detainees Matthew Miller of Bakersfield, California, and Jeffrey Fowle of Miamisburg, Ohio, recounted to NK News that while they were interviewed and filmed nine separate times in August and September by officials representing themselves from the AP, remarkably little was ever published by the AP. Despite the exclusive material, no stories, photos or video from three interviews were ever published. In other stories, they were never quoted. In still other interviews, AP used a single quote – quotes the Americans said reflected the government political line their captors specifically instructed them to make. The first interview conducted by the AP news bureau with the prisoners on August 4 was a world exclusive on a story prominent in headlines for four months – and the AP never published any story based on this material at all. “The Pyongyang Group was toeing the party line in the questions they asked, for sure,” Fowle said. “I believe they were affiliated with AP, but they were not free to ask questions. At least they asked the same questions that my minders had coached me to answer. They were an extension of the government. The whole country is the government,” Fowle said. 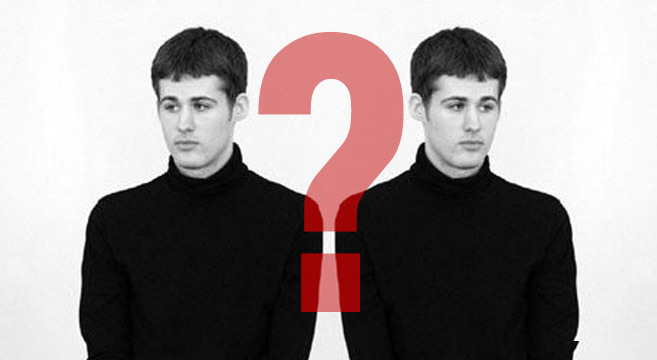 Matthew Miller, the other former American detainee, told NK News ,”I pretended to seek asylum. Obviously I had no real intention. “I had thought in that one interview with AP (on August 4) when I said I ‘claimed to be seeking asylum’ that the AP would understand that ‘claimed’ meant ‘pretended,’” Miller said. But no such quote was ever reported by the AP. “I can’t seem to find any reporting from the AP of what I said,” Miller said, adding he could find only selected snippets from some of the five separate encounters with the AP while he was detained and in prison in Pyongyang. “They even gave me their AP business cards,” said Fowle. Miller confirmed he, too, was presented with AP business cards. 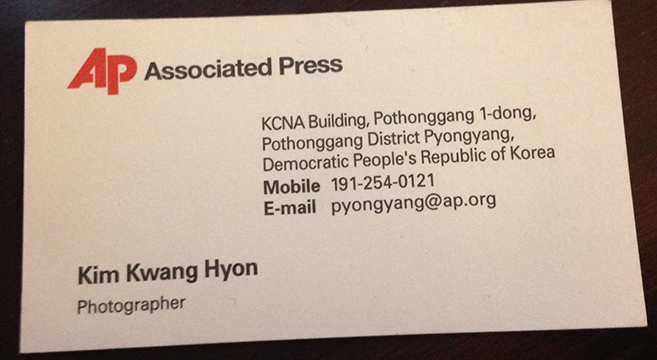 Copies provided to NK News identify the AP correspondent as Kim Kwang Hyong, who is alternately identified as an “AP staff writer,” “AP staff correspondent” and “AP staff photographer” in stories and photos from Pyongyang. Besides the unpublished AP interview material, locally hired Associated Press Television (APTN) North Korean camerapersons filmed Miller and Fowle briefly on August 1. APTN is a separate corporate arm of the AP and employs camera operators, but not news reporters. Short quotations were used from APTN in the August 1 AP story on the material – both were requests for a U.S. government envoy to come to Pyongyang to obtain their release – a request both detainees said their North Korean captors explicitly told them to highlight for the cameras. Miller stood trial in a 90-minute courtroom proceeding on September 14, attended by at least four AP reporters, photographers and cameramen. No foreign AP correspondent was in country, and the AP released a story with no quotes from Miller, who was sentenced to six years hard labor. Miller was briefly filmed by APTN on September 24 dressed in prison garb and displaying handwritten letters to President Obama and American political leaders requesting their intervention. APTN video shows Miller answering one question, saying he was treated well. Jeffrey Fowle was interviewed by APTN and AP on September 30, but neither agency subsequently released a story, video or photo of that encounter. Journalists who cover the country say that such high-profile exclusive interviews would be newsworthy under most circumstances. “That AP did not publish anything from such a high-profile exclusive interview with American detainees raises very disturbing questions. It is inconceivable to think such a story was not newsworthy, regardless of what was said,” said Mike Chinoy, of the missing August 1 interviews. “A story like this was always going to be the acid test for the AP operations there,” said a senior editor at a Western news agency who spent years in Pyongyang negotiating operations for his media organization with North Korea. He demanded anonymity because of contractual obligations that prohibit him from making unauthorized personal comments. “They don’t need to run the stories by the censors – the censors are producing the stories,” the editor said. On September 1 Talmadge, under the watchful eye of North Korean government officials, “leaned over and whispered out of the side of his mouth: ‘Did they tell you what to say?’ I had to lie and said no, because the guards heard that,” Fowle told NK News. 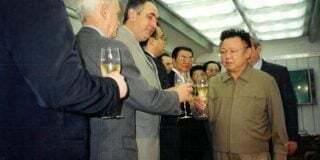 Both Fowle and Miller were released, on October 21 and November 9 respectively, after high-level intervention between Washington and Pyongyang. Far from being 100 percent committed to their journalistic responsibilities, AP staff, North Korean specialists and other Korean watchers are in agreement that the local North Korean AP staff are directly under the supervision of the Ministry of State Security – Pyongyang’s omnipresent secret police – and must filter any gathered news product directly through the all-powerful state propaganda apparatus as part of the meticulously choreographed operations of the Propaganda and Agitation Department. 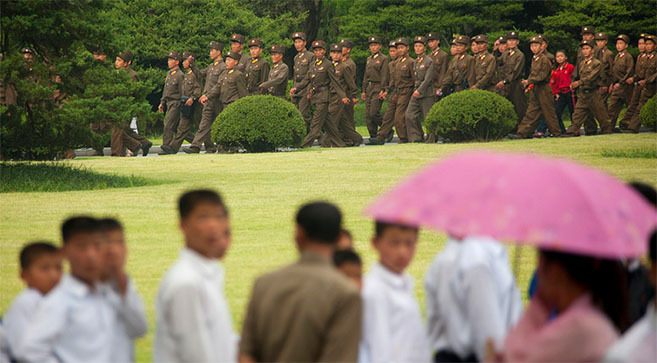 “In order for anyone to trust that the AP news product from Pyongyang is not manipulated or vetted by the North Koreans, if not directly under the control of the Ministry of State Security, you would have to believe those who we hired as AP news staff were actually working for the AP,” said one senior AP correspondent in Asia with direct knowledge of AP Pyongyang news operations. “They are not. They are working for the KCNA. It was a bargain that AP was willing to make. Certainly I never bought into that they worked for AP,” the source added, requesting confidentiality due to not being authorized to speak to NK News. That, it seems, is something specialists and journalists with experience on North Korea agreed with. “The AP had to cut a deal with the devil,” said Ken Gause, a respected intelligence analyst and specialist on North Korean security services. “It is impossible to think that North Korea would allow the AP to gather or access news independent of total North Korean government control,” he said. “It is the same with foreign embassies and ambassadors. “Any North Korean that Pyongyang allows to work as a journalist for a foreign media company will be vetted by, report back to and controlled by the SSD at the least, and probably directly working for the North Korean security services,” Gause explained. The SSD is the State Security Department of North Korea, also known as the Ministry of State Security. Chinoy, CNN’s former senior Asia correspondent, agreed with Gause. “Are the North Koreans using the AP? Of course they are. Where AP is getting themselves in trouble is trying to suggest that their news gathering operation is not tightly controlled by the North Korean secret police. Of course it is. That is how it works in North Korea. 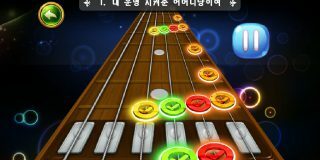 It is impossible to credibly suggest otherwise.” Chinoy added. Yet despite the limitations, in both interviews Gause and Chinoy underscored their initial support for the AP’s endeavor in Pyongyang. 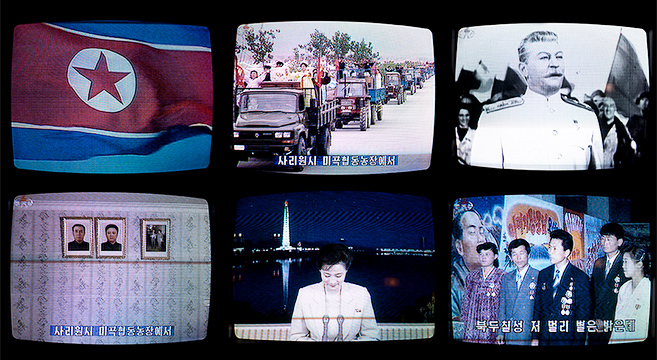 But given that the government has chosen who the AP can employ as a reporter covering stories that virtually all involve that same government, and that the AP pays the salaries of its reporters directly to the government, the question of a conflict of interest within its own news production is a common topic of discussion among North Korean watchers. But despite the apparent contradictions, AP media relations director Colford told NK News his news agency would not engage with questions on the Pyongyang bureau. In particular, Colford refused a request by NK News for a copy of the agreement signed with Pyongyang to open the AP news bureau or to answer any of 36 questions related to the terms of the AP’s negotiations for and operation of its news bureau. A government the right to control the production process, independent of outside AP supervision, of news stories the AP then distributes globally. Yet senior management executives at the AP continue to maintain that the Pyongyang bureau operates as do other offices around the world, with media relations director Colford’s claims to NK News that the AP “does not submit to censorship” and its work is “not submitted for any kind of review by North Korean authorities,” particularly notable. Overall, the restrictions on the AP’s operations, along with the regime’s manipulations, come as no surprise to foreign journalists, intelligence analysts and others who follow the opaque government in Pyongyang. What does surprise them is the AP’s vehement contention that they operate in the North under the same standards as in every other country. “North Korea is much more tightly controlled than China ever was,” said Chinoy. “AP’s insistence that the Pyongyang bureau operates under the same standards as their reporting elsewhere is what has gotten the AP in trouble. It just is not true – and that is the heart of the dilemma. Deals negotiated by other independent news agencies with North Korea as competitors during the same time frame, including Reuters, AFP and the German press agency DPA, never materialized after those news organizations balked at the restrictions they would have to operate under. “The freedom of our journalists to report based in North Korea is simply not possible,” said DPA spokesman Christian Röwekamp in a media interview last year. “Our correspondents in Beijing and Seoul can report better visiting the country. Subscribe to read the remaining 4587 words of this article.